By Adele. Piano/Vocal/Guitar Artist Songbook. Pop. Softcover. 80 pages. Published by Hal Leonard (HL.307247). 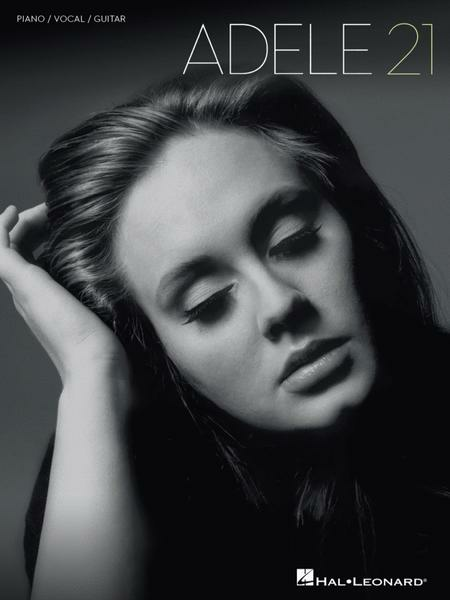 Really good arrangements, each in the key that Adele sings. Some rhythms a little challenging, but overall great fun. If the arrangements are too difficult, you can use just the chords and still sing along. July 17, 2012 Perfect songbook. All of Adele's songs are easy to play. I can use this for both the piano and guitar. 60 of 130 people found this review helpful. the tune and chords and can improvise, or if you can play basic backing and sing with yourself. I love Adele's music though and recommend this to everyone else who does as well! 58 of 118 people found this review helpful. I loved it! Not too easy to play, but beautiful arrangments! 51 of 121 people found this review helpful. If you love the music of Adele this is the book you want to have. A bit of study but with great satisfaction and reward. 61 of 134 people found this review helpful.